Our Policy Regarding Children. The Site is a general audience site and does not knowingly collect any personally identifiable information (i.e., information that can be uniquely identified with you, such as your full name, address, e-mail address, phone number, etc.) from children under the age of thirteen. Consistent with the Children's Online Privacy Protection Act of 1998 (15 U.S.C. 6501 et seq. ), which became effective April 21, 2000, we will never knowingly collect personally identifiable information from anyone under the age of 13 without verifiable parental consent. If we become aware that anyone under the age of 13 submits information to us though the Site, we will not use that information for any purpose. Active Information Collection. This Site actively collects information from you by permitting you to communicate directly with us via e-mail and online registration. Some of the information that you submit may be personally identifiable information. In the event that this Site may require you to submit information to receive a benefit or service, you will be informed at each information collection point what information is required. Cookies. As with many Websites, this Site uses standard Internet technology called “cookies.” Cookies are small data files that are transferred to your computer when you allow your browser to accept cookies. By themselves, cookies do not provide us any information about your identity, and we do not use them to gather personally identifiable information about you. You may elect not to allow cookies to be collected by adjusting your settings on your browser. We may also transfer aggregated information we collect in connection with the sale, merger, or transition of our system to a third-party. Email addresses will not be rented to third parties. We may also disclose your personally identifiable information to third parties located in the United States and/or any other country, including: affiliates, sponsors, other golf related organizations, third parties we use to support our business (such as fulfillment services, technical support, delivery services and email service providers), or where required by applicable laws, court orders or government regulations. Copyright © 2016 Wisconsin State Golf Association. All rights reserved. 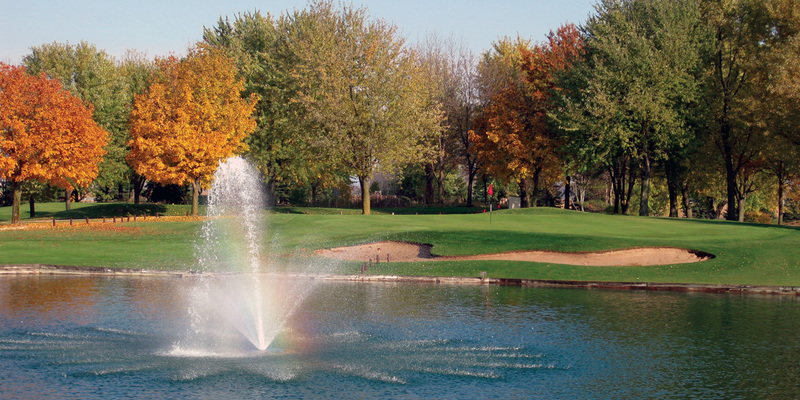 Welcome to the Wisconsin State Golf Association (WSGA) Website. OWNERSHIP OF CONTENT. All content and materials on this Website including, but not limited to, text, audio, video, images, logos, trademarks, data compilations, intellectual property and proprietary materials, are either owned by the WSGA or its licensors, and are protected by the laws of the United States and other countries. The compilation of all content of this website is the property of the WSGA and is protected by the laws of the United States and other countries. The use of the content or materials on this Website is prohibited without the prior express written consent of the WSGA or its licensors or as otherwise permitted by these Terms. LIMITED LICENSE. The WSGA grants you a limited license to access and make personal, non-commercial use of this site. In accordance with these Terms, you are not permitted to download any material, except for single copies of pages as necessary to access the WSGA Site. All rights not expressly granted to you above, including ownership and title, are reserved for the owner and not transferred or licensed to you. LINKING AND FRAMING. You are permitted to link to the WSGA Site's home page, so long as the link does not state or imply any sponsorship of your site by the WSGA; however, you may not link to any internal page within the WSGA Site without the prior express written consent of the WSGA. In addition, without the prior express written consent of the WSGA, users may not frame any of the content on the WSGA Site or incorporate into another Website any intellectual property of the WSGA or any of its licensors. LINKS TO THIRD PARTY SITES. The WSGA Site may provide, or third parties may provide, hypertext links that take you away from the WSGA Site and to other World Wide Websites or resources. You understand and agree that the WSGA is not responsible for the availability of such third party sites or resources, and does not endorse and is not responsible or liable for any content, advertising, products, or other materials on or available from such sites or resources. You further understand and agree that the WSGA shall not be responsible or liable, directly or indirectly, for any damage or loss caused or alleged to be caused by or in connection with use of or reliance on any such content, goods or services available on or through any such site or resource. COPYRIGHT NOTICE. All documents and information on this site are copyrighted materials of the WSGA or its licensors. These documents and information may not, under any circumstances, be used without the prior express written consent of the WSGA or the appropriate licensor. You may download documents and information displayed on the WSGA site to your computer (for non-commercial purposes), provided you retain all copyright and other proprietary notices contained on the documents and information. Any reproduction, modification, distribution or republication of materials contained on the WSGA Site, without the prior express written consent of the WSGA, is strictly prohibited. Requests for permission to reproduce or redistribute documents or information found on this site, other than as permitted in this section, should be sent to info@wsga.org. DISCLAIMER OF WARRANTIES. THE MATERIALS ON THE WSGA SITE ARE PROVIDED "AS IS" AND WITHOUT WARRANTIES OF ANY KIND, EITHER EXPRESS OR IMPLIED. TO THE FULLEST EXTENT PERMISSIBLE PURSUANT TO APPLICABLE LAW, WSGA DISCLAIMS ALL WARRANTIES, EXPRESS OR IMPLIED, INCLUDING, BUT NOT LIMITED TO, IMPLIED WARRANTIES OF MERCHANTABILITY AND FITNESS FOR A PARTICULAR PURPOSE. WSGA DOES NOT WARRANT THAT THE MATERIALS ON THE WSGA SITE WILL BE UNINTERRUPTED OR ERROR-FREE, THAT DEFECTS WILL BE CORRECTED, OR THAT THE WSGA SITE OR THE SERVERS THAT MAKE SUCH MATERIALS AVAILABLE ARE FREE OF VIRUSES OR OTHER HARMFUL COMPONENTS. WSGA DOES NOT WARRANT OR MAKE ANY REPRESENTATIONS REGARDING THE USE OR THE RESULTS OF THE USE OF THE MATERIALS ON THE WSGA SITE IN TERMS OF THEIR CORRECTNESS, ACCURACY, RELIABILITY OR OTHERWISE. YOU ASSUME THE ENTIRE COST OF ALL NECESSARY SERVICING, REPAIR OR CORRECTION. APPLICABLE LAW MAY NOT ALLOW THE EXCLUSION OF IMPLIED WARRANTIES, SO THE ABOVE EXCLUSION MAY NOT APPLY TO YOU. WSGA EXPLICITLY DISCLAIMS ANY RESPONSIBILITY FOR THE ACCURACY, COMPLETENESS, CONTENT OR AVAILABILITY OF INFORMATION FOUND ON SITES THAT LINK TO OR FROM THE WSGA SITE. WSGA CANNOT ENSURE THAT YOU WILL BE SATISFIED WITH ANY PRODUCTS OR SERVICES THAT YOU PURCHASE FROM A THIRD PARTY SITE THAT LINKS TO OR FROM THE WSGA SITE OR THIRD PARTY CONTENT ON OUR SITES. WSGA DOES NOT ENDORSE ANY OF THE MERCHANDISE (IF ANY) EXCEPT AS EXPRESSLY PROVIDED, NOR HAS WSGA TAKEN ANY STEPS TO CONFIRM THE ACCURACY OR RELIABILITY OF ANY OF THE INFORMATION CONTAINED IN SUCH THIRD PARTY SITES OR CONTENT. WSGA DOES NOT MAKE ANY REPRESENTATIONS OR WARRANTIES AS TO THE SECURITY OF ANY INFORMATION (INCLUDING, WITHOUT LIMITATION, CREDIT CARD AND OTHER PERSONAL INFORMATION) YOU MIGHT BE REQUESTED TO GIVE ANY THIRD PARTY, AND YOU HEREBY IRREVOCABLY WAIVE ANY CLAIM AGAINST THE WSGA WITH RESPECT TO SUCH SITES AND THIRD PARTY CONTENT. LIMITATION ON LIABILITY. IN NO EVENT SHALL THE WSGA BE LIABLE FOR ANY DIRECT, INDIRECT, SPECIAL, PUNITIVE, OR CONSEQUENTIAL DAMAGES (INCLUDING LOST PROFITS) THAT ARISE OUT OF OR IN CONNECTION WITH ANY FAILURE OF PERFORMANCE, ERRORS, INACCURACIES, OMISSIONS, DEFECTS, UNTIMELINESS, INTERRUPTION, DELETION, DELAY IN OPERATION OR TRANSMISSION, COMPUTER VIRUS, COMMUNICATION LINE FAILURE, THEFT OR DESTRUCTION OR UNAUTHORIZED ACCESS TO, ALTERATION OF, OR USE OF RECORD, OR UNAUTHENTICITY OF ANY CONTENT IN THE WSGA SITE, OR THE USE OR INABILITY TO USE THE WSGA SITE OR ANY CONTENT THEREIN. INDEMNIFICATION. You agree to indemnify and hold harmless the WSGA, its affiliates, licensees and their respective directors, officers, employees and agents from and against all liabilities, claims damages and expenses, including attorneys' fees, arising out of your use of the WSGA Site, or your violation or alleged violation of the terms of this Agreement. SOFTWARE. Software and other materials from the WSGA Site may also be subject to United States Export control laws. The United States Export control laws prohibit the export of certain technical data and software to certain territories. No software from the WSGA Site may be downloaded or exported (i) into (or to a national or resident of) Cuba, Iraq, Libya, North Korea, Iran, Syria, or any other country to which the United States has embargoed goods; or (ii) anyone on the United States Treasury Department's list of Specially Designated Nationals (see www.treas.gov/offices/enforcement/ofac/sdn/t11sdn.pdf) or the U.S. Commerce Department's Denied Persons List (see www.bxa.doc.govDPL hedeniallist.asp). The WSGA does not authorize the downloading or exportation of any software or technical data from any of the WSGA Site to any jurisdiction prohibited by the United States Export Laws. CHOICE OF LAW AND FORUM. The Terms, the relationship and any disputes between you and the WSGA are to be governed by the laws of the State of Wisconsin without regard to its conflict of law provisions. You and the WSGA expressly and irrevocably agree to submit to the personal and exclusive jurisdiction of the courts located within the County of Milwaukee, Wisconsin. DISPUTES. For disputes involving the unauthorized use of any proprietary material contained on the WSGA Site, the WSGA shall have the option and right to seek preliminary and permanent injunctive relief, and/or any other relief which is available to it, in any federal or state court of Wisconsin without the necessity for posting any bond. MISCELLANEOUS. These Terms constitute the entire agreement between you and the WSGA, and supersede all prior and contemporaneous written or oral agreements, proposals or communications with respect to the subject matter herein between you and the WSGA. If any provision of these Terms is held by a court of competent jurisdiction to be unlawful, void, invalid or unenforceable, then that provision shall be deemed severable from these Terms and shall not affect the validity and enforceability of any remaining provisions. STATUTE OF LIMITATIONS. You agree that regardless of any statute or law to the contrary, any claim or cause of action arising out of or related to use of the WSGA Site must be filed within one (1) year after such claim or cause of action arose or be forever barred.